WANTED: People interested in traveling all over the world while watching their bank account grow every month! If you want to take advantage of such a life-changing opportunity, you owe it to yourself to consider working on cruise ships. I can honestly say that working on ships changed my life in incredible ways, most importantly giving me the freedom to live on my own terms. WORLD TRAVEL – Explore all kinds of destinations (yes, almost every position offers a good amount of free time off the ship), from Alaska to the Caribbean, Europe to South America, the South Pacific to Southeast Asia. MONEY! – Earn up to $6000+ USD per month, depending on position. And with very few expenses (room and meals are provided) it’s possible to save $6,000 – $20,000+ in a few short months! AMAZING SOCIAL LIFE – Live the good life with access to crew bars, crew lounges, internet cafes, hot tubs, swimming pools, a crew gym, crew-only sunbathing decks, crew parties and other events. SPECIAL PRIVILEGES – Spend your evenings socializing in passenger bars, and lounges, receive discounted tours in each port, attend the theater performances, dine in passenger restaurants…it’s all possible. Many positions offer these extra benefits. INTERNATIONAL FRIENDSHIPS – Build friendships with crew members from dozens of countries around the world, and when you’re on vacation, you’ll have plenty of money to visit your new friends overseas! 2-4 MONTHS OF VACATION – Enjoy up to 4 months of vacation per year, which you can spend anywhere in the world you wish. You’ll actually work less and save more money than if you were working on land! Applying for a cruise ship job is not the same as applying for a job on land. The rules are different, the process can be complicated and without any guidance, it’s nearly impossible to do on your own. Without knowing how to navigate the specific steps involved, cruise lines will often never even notice your application. In fact, you’ll have trouble simply trying to get an application in the first place. Choose your perfect job from over 60 ship positions, many of which you probably never even knew existed. Learn which cruise line will be the best match for you by comparing the crew environment that each one offers. Know exactly what to expect, what to say and what NOT to say so that you stand above all the other applicants and maximize your chances of getting hired. Uncover the answers to every question you could possibly ask. You’ll walk up the gangway of your first ship with the confidence of an experienced crew member. With over 170 pages of straight-to-the-point material, you won’t have to waste hours and days of your time on useless research. You’ll have everything you need to apply for every position with every major cruise line and to have the absolute best chance possible of getting hired. DOWNLOAD THE GUIDE TODAY AND HAVE YOUR APPLICATIONS SENT IN TONIGHT! 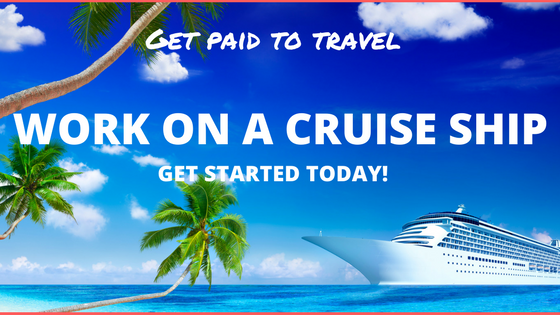 That’s all you’ll ever need to spend in order to land a cruise ship job that will allow you to save $2000, $3000 or even as much as $5000 per month. When that first pay check comes in, I guarantee you’ll consider this one of the best investments you’ve made! Works for EVERYONE – The information in this guide works for EVERYONE, no matter what country you live in. Cruise lines hire people of all nationalities and the only standard requirement is that you are at least 21 years of age and not a convicted felon. Pay with Paypal or Credit Card – Just click the “Checkout with Paypal” button on the checkout page and you’ll be able to choose your payment method. 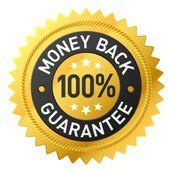 60-Day Money Back Guarantee – If you don’t believe the information you receive will help you find a rewarding job on board a cruise ship, you have 60 days to ask for a refund. Just send me a quick email and I’ll refund the amount without any questions asked. Once you order your guide, you’ll be able to contact me directly with any questions you may have along the way. You’ll find my direct email address on the last page of the guide and I encourage you to use it. I’ll always do my very best to help get you working on board a cruise ship as quickly as possible.